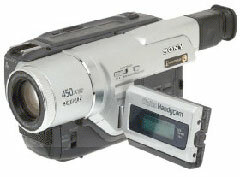 The tapes are played on a Sony DCR-TRV320E Camcorder that is capable of playing Video8, Hi8 or Digital 8 tapes or a Canon MV750i Camcorder that capable of playing MiniDV. We captured the footage onto a Apple Macintosh Computer with video editing software before converting to AVI, Quicktime, MP4 or mastering to a DVD. 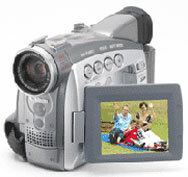 The tapes are played on a Sony RDR-VX420 DVD Recorder and then either converted directly to DVD, or captured onto a Apple Macintosh Computer with video editing software if editing or colour correction needs to take place before converting to AVI, Quicktime, MPEG or mastering to a DVD. 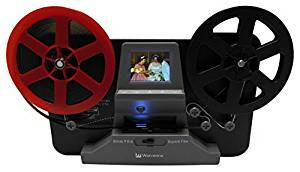 The 5 inch (200 ft) or 3 inch (100 ft) tapes are played on a Wolverine Movie Digitizer and then converted onto a Apple Macintosh Computer with video editing software if editing or colour correction needs to take place before converting to AVI, Quicktime, MPEG or mastering to a DVD. We transfer your tapes to a Apple Mac computer with video editing software via firewire to give best results then we can edit footage, apply colour correction and sound enhancment if specified before mastinging onto DVD and print title or image on to the disc and package in clear DVD case. We transfer your tapes either VHS to DVD direct (standard service) or if you prefer (edited service) transfere to Apple Mac computer with video editing software then edit footage, apply colour correction and sound enhancment as specified please email your requirements for prices before mastinging onto DVD and print title or image on to disc and package in clear DVD case . 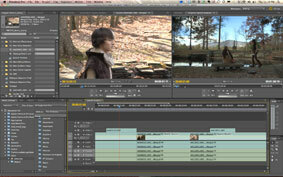 Please note extra prices apply for editing service please email for more info. We transfer your tapes to a Apple Mac computer with video editing software via firewire to give best results then we can edit footage, apply colour correction and sound enhancment if specified before saving onto disc and print title or image on to the disc and package in clear DVD case. We transfer your 3 inch and 5 inch cine film reels via a Wolverine Movie Digitizer to give best results then we can edit footage on a Apple Mac computer with video editing software apply colour correction and sound if specified before mastinging onto DVD and print title or image on to the disc and package in clear DVD case. We transfer your 3 inch and 5 inch cine film reels via a Wolverine Movie Digitizer to give best results then we can edit footage on a Apple Mac computer with video editing software apply colour correction and sound if specified before saving onto disc and print title or image on to the disc and package in clear DVD case.